The perfect start to the week, head downtown and get ready to indulge in GQ Bar's Sushi on Sunday; a stylish night dedicated to the fine art of sushi. Showcasing a unique Japanese inspired sushi menu, GQ Bar has launched a colourful selection of handcrafted rolls, made using a wide range of the freshest and most exotic ingredients. 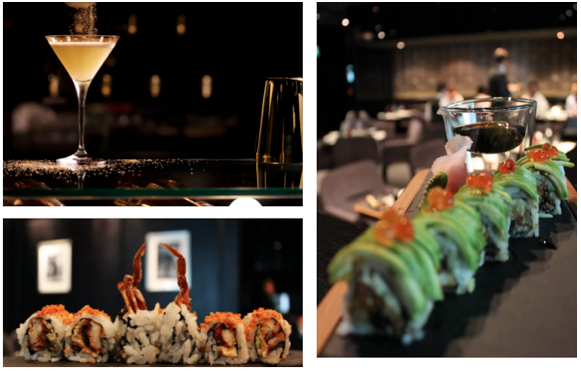 Get ready to dine in style within the impressive interiors of GQ Bar, while enjoying an unlimited selection of sushi and sashimi and sipping on one of our signature GQ Bar cocktails. If you're looking for a more authentic experience, choose from our heralded selection of Japanese sake, to complete the experience. Enjoy Sushi on Sunday; an unlimited selection of sushi and sashimi accompanied by a sake-based cocktail, every Sunday, from 6pm- 1am for AED 150 per person. For more information and bookings, please contact: +9714 321 4541 or +97156 917 7714.